My Reflection: Deaf People in Havana – …And the Truth Shall Set You Free. Cochlear Implants Coming to Cuba. All Deaf children deserve a bright future and access to high quality early learning environments that put them on the path to success in education and beyond. In the coming months or so, with the “better” relations between America and Cuba will face a huge challenge what equates to a cultural backlash with the cochlear implant makers from America to demonstrate how many Deaf children can be targeted, for example. Cochlear implant makers through American relations will target how Deaf children in Cuba carry out tasks such as following “social rules” and such. The rules give America an important snapshot of the Deaf child’s social, emotional, and cognitive skills. I am very concerned right now. 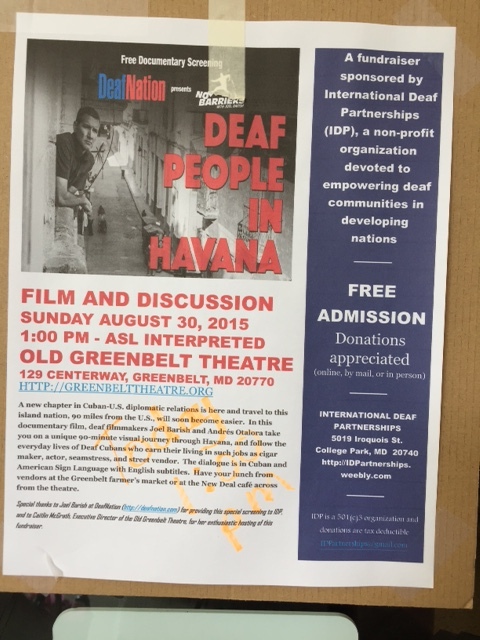 After watching a free documentary Deaf People in Havana produced and presented by Deaf Nation’s No Barriers signed by Joel Barish last Sunday. I have a legitimate reason to be concerned. Very concerned. Domino Effect begins. Cuba is only 90 miles from America’s lands. The beauty of Deaf people with its culture is powerful—DEAF people—the REAL DEAF people. In this 90 minutes documentary, not a single Deaf person have a cochlear implant—and I often wondered why Deaf People in Havana did not film Deaf children—the critical backbone in Deaf community there. This documentary is also critical in helping Deaf community and the state as a whole identify trends related to Deaf children who did not have adequate access to high quality education nor learning experiences. This assessment of Deaf children will be an ultimate test. There is no passing or failing. There are no blanks or bubbles for Deaf children to fill in. In fact, the majority of cochlear implant companies in America will target Deaf children in Cuba—based on replacing Deaf culture and follow American relations. Will Deaf children and people in Cuba will struck in a time capsule as soon as the American cochlear implant makers begins to lift the restrictions to take their Deaf culture away? That is where the major concern should be discussed. Cochlear implant makers and of course, Alexander Graham Bell Association of the Deaf and Hard of Hearing (AGBDHH) will use the data to gather information gaps in knowledge and skills and they also will use that information to target resources to ensure more Deaf children, particularly those representing Deaf community and navigating poverty, have a strong start to education. As the future relations with 90 miles away from America’s social rules to begin its educational journey, we all should have a reason than ever before to be encouraged about the foundations laid in Deaf community to set the stage for educational access for our youngest Deaf children to preserve sign language and Deaf culture as well. That is precisely why Cubans remember Ernesto “Che” Guevara, a revolutionary leader—and that is where Paddy Ladd achieved by David Call’s linocut [printmaking] art comes in with the picture. 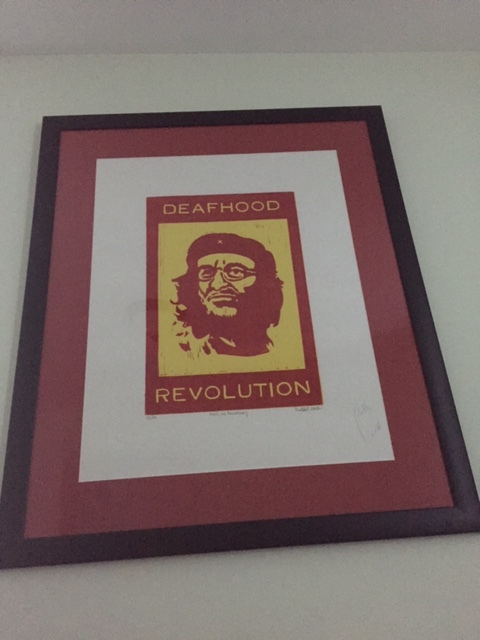 Deaf Cubans need to be a revolutionary leader through Deafhood discourses. They all are Deafhood Revolutions. 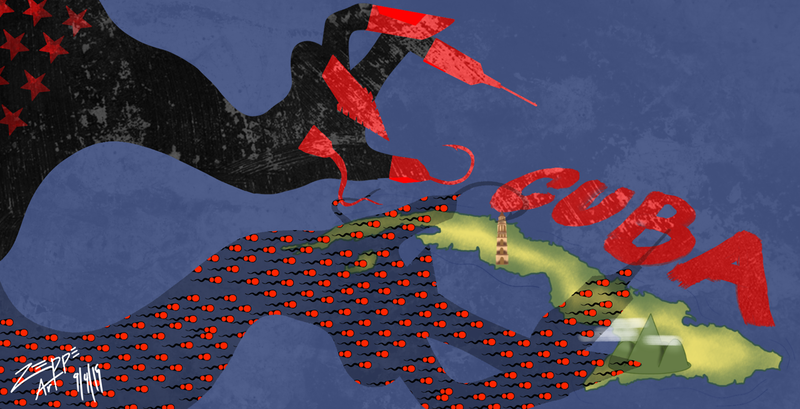 A revolution from the Latin revolutio, “a turn around” that Deaf Cubans needs a strong fundamental change in power that prevents and turn around cochlear implant makers away to take over Cuba and invest a $100 million towards targeted investments to prioritize closing gaps on Deaf children. The mask of benevolence in this documentary, Deaf People in Havana…will become invisible sooner or later. Domino Effect. ****Special thanks to Joseph Artino, the owner of Zeppe Art for his hard work on artwork! Champ! Oh No, It is not bright future for Deaf babies and kids with abusive Cochlear Implants. Sign language is their human rights. Stop CI now. Their eyes and hands are natural communication and education. Deaf kids are natural without CI. We the Deaf and ASL community dislike AGBell and Karl White are racist. Exactly! There is a huge difference about nature versus nurture. Being Deaf and ASL as your first amendment is a nature—-while cochlear implant is a nurture that falls easily under eighth amendment where AGBell targets Deaf children. Karl White is a douche bag.